Whether you're in the planning stages of a trip to Guanajuato, Mexico or you're already there and want to learn more about your surroundings, we're here to help! 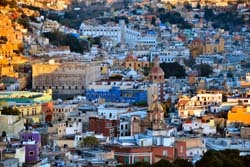 What Guanajuato, your in-depth Guanajuato city guide. These six easy-to-navigate sections are full of original, reliable and accurate information about Guanajuato, Mexico that you won't find anywhere else. Learn here The history of Guanajuaton from the time of the Chichimeca and the P'urhépecha to its present day university vibe and culturally active city. Visitors to modern day Guanajuato will feel the unique spirit of this breathtaking Mexican town, a mix of tradition and modernity that is reflected on its colonial buildings and streets, and its varied cultural offer. Also, the city is a great place to try some of the finest and most delicious Mexican dishes, and an opportunity to get to know the authentic Mexican lifestyle. The various museums of Guanajuato make of the city a cultural hotspot, and are a claim to both national and international tourists facinated, for example, by the Diego Rivera Museum or the Mummy Museum. If you love sightseeing, amazing natural landscapes and a laid-back and tranquil city atmosphere, Guanajuato will fulfil your expectations! The customs and way of life of Guanajuato affect the city in such a way that, despite being a large urban center, it still keeps the small town feel and atmosphere. Visit Guanajuato and experience a different way of life! We would like to offer you a complete guide that goes through every detail and direction you might need on your visit to Guanajuato, from the moment you are arranging your trip to the moment you arrive to your destination. 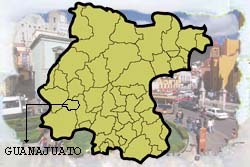 With this meticulous guide you will access all the fundamental information on what to do and see, at the same time as you get a unique insight on the traditions and folklore of the city of Guanajuato.